Not much was known about BioWare’s upcoming 4v1 game, Shadow Realms, besides a few showings at various conventions. The feedback was generally positive and we thought the game would probably end up with a free-to-play version at some point, if not at launch. Alas, it wasn’t to be so. BioWare has officially pulled the plug on Shadow Realms citing Star Wars: The Old Republic as a big reason why. The MMORPG has had a pretty big year and BioWare hopes to capitialize on that this year and has even laid out their 2015 roadmap. In an official announcement, Jeff Hickman, General Manager of BioWare Austin, details the reasons for Shadow Realms’ cancellation and says that SWTOR development, combined with new Dragon Age: Inquisition content, a new Mass Effect title and a brand new IP, development resources were just pulled too thin to continue work on Shadow Realms. 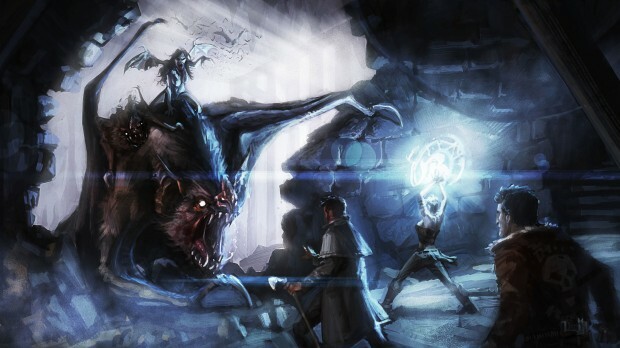 If you took part in the Shadow Realms Alpha, BioWare is determining a way to say “Thank You” soon. I didn’t even care for it tbh. Then I saw that it was because it was for SWTOR, I got a bit pissed. But then I kept reading then they bring up more Dragon Age Inquisition content and the new Mass Effect. So I’m happy. Lookie hea boys the poormans Evolve. Why inovate if you can milk the cash cow? EA, how i dispise you! Do you even know the difference between a publisher and a developer?